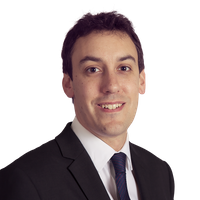 Matthew is co-head (with Ali Sallaway) of our Global Investigations Group in London, a partner in our Corporate Crime practice and also an experienced commercial litigator. He is recognised by directories for his wealth of experience in these areas. He has been highlighted as a leading lawyer in the field of investigations and a rising star in disputes. Matthew has led a number of major corporate investigations for blue chip clients arising from allegations such as bribery and corruption, fraud and misaccounting. Recent matters have engaged Asia, the Middle East, former CIS territories, and Africa. In addition to advising clients on compliance and internal investigations, he is experienced in dealing with external regulators and authorities, including several matters before the UK Serious Fraud Office and the Financial Conduct Authority. How are authorities collaborating across borders to investigate corporate misconduct?